For the last dozen years or so, I have been teaching something I call “The APATSARC Drill” in my composition classes. Students use it to do an analytical drill of a non-fiction text (usually a news column) we’ve read together, within the first two weeks. The drill serves a few purposes: it’s a way of what Keith Hjortshoj calls “predatory” reading—a way for students to skim a text looking for important elements—and to begin what I hope becomes a deeper analysis (see The Transition to College Writing). I want students to see how texts can be taken apart, to understand that texts—the things they write—are made things, and that choices are an important part of the making of these things. Another purpose of the drill is to introduce analysis (the thing we most often do to texts in college) as a set of tools that students can and should become familiar with. This is just one set among other sets; part of what they are learning in college is how to pick strategically between sets of tools depending on the writing situation. The APATSARC drill set is different than the literary analysis set, for example. I make the drill’s competencies an explicit part of my first-year composition courses, because it effectively forces students to stretch past summary toward analysis. We talk about how analyzing means taking a thing (a text) apart and first seeing how the pieces work, and then how the pieces work together. I want my students to shift their focus from the content of a piece to what an author is doing, I want them to articulate the choices the author makes to persuade audiences. When my students can begin to think about authors using strategies, to think of authors as making strategic choices, my students can then begin to think of themselves as authors who make strategic choices, not as passive conduits of ideas or content. I originally conceived of this drill to articulate what I wanted my students in my composition classes to do with the reading I assigned them. 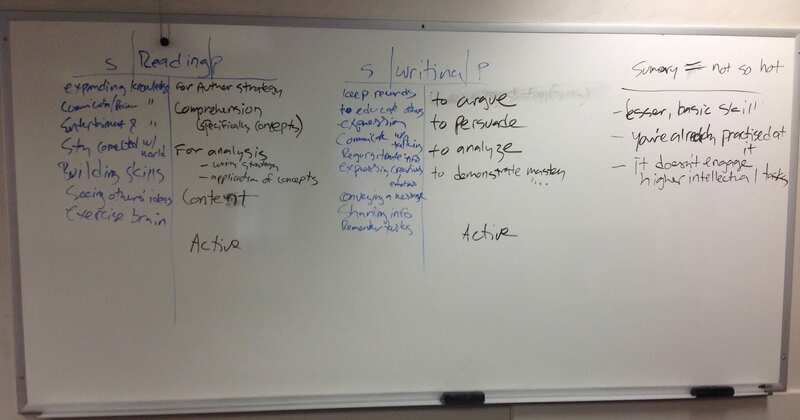 The first composition pedagogy training I received (through a composition program within an English department) emphasized analytical reading as an integral process of writing. But what were the tools of analysis? Which things did I want them to analyze? Why? As I gained experience as a teacher and then began to feel more at home in Composition, I increasingly desired an assignment that would develop students’ rhetorical awareness, by making them inquire after an author’s purpose and strategies for persuasion. In other words, I wanted an “establishing shot” of a student’s ability to analyze a given text by reading it and then writing about how that text works. I needed to be able to see whether and how a student could break down a text into parts and discuss how those parts work. We run APATSARC as a “way into” analyzing any text–any kind of thing we read or listen to or watch. APATSARC is a good start at analyzing most of what we’re reading in this class, which is non-fiction essays, news articles, and interviews. Keep in mind that the APATSARC elements are connected–they often work together. Here are what the letters mean, and the kinds of questions you can ask yourself to run the drill as you’re reading. A: Audience. Who is the author writing to or for? Who might the author be thinking of when writing this essay? Sometimes writers will directly address audiences that they’re writing or speaking to, but often their audience is implied by what they say. P: Purpose. Why is the author writing or saying this? What goals might the author have in writing this? 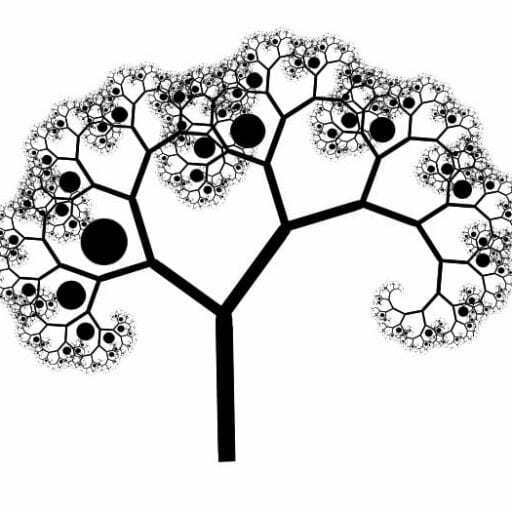 This element is often strongly connected to the element of Argument. A: Argument. What is the author’s main argument or main point? We often call this a thesis statement. What is the main idea of this piece of writing? Sometimes writers will tell you what their thesis is near the beginning of the text, especially in argumentative essays. Sometimes, however, especially in creative non-fiction essays (like many that we’ll read together), authors won’t make their arguments very explicit. So you have to look for when an author says something that sounds like something they said earlier in the essay, just in a different way. That’s usually a pretty good clue that an author feels strongly about that idea. T: Tone. What is the emotional tone here? If you had to pick an emotion to describe this piece of writing, what would that be? Sometimes you can find words that directly use an emotion word. But another way to discern the tone is to look at word choices and sentence length. Short sentences with “hard” sounds in them like “shoRT shaRP shoCK” will “sound” angry or upset, compared to long, melodious sentences with many “soft” sounds in them. S: Structure. What is the structure of this piece of writing? Is it a poem? A song? A book? An informational article? Is it in essay form? Does it have sections, or is it one continuous piece of writing? Does it have pictures or graphs? Is it chronological or does it move around in time? A: Assumptions. What assumptions does the author make about her or his readers? What does the author assume we know or believe? What experiences does the author assume we share with him or her? R: Rhetorical Style. Most types of non-fiction writing use “rhetoric” (persuasive speech) and there are three sorts of rhetorical styles that most writing falls into: logos (using logic to make an argument, such as data, numbers, and facts), ethos (appealing to your reader’s shared sense of ethics, or including the reader in a shared ethical community), or pathos (using emotion to persuade a reader). While most non-fiction writing has elements of all three rhetorical styles, one style tends to be the primary style. See if you can identify the primary style of the text you’re analyzing. C: Context. This element concerns information that exists “outside” of a thing you’re reading. Often, that is historical information, or cultural information. Sometimes you will see dates or references to significant historical events. If you have the time, look those references up. If you don’t have the opportunity to look them up, at least list the questions you might ask about the specific history or cultural information that would add layers of meaning to this text. Usually students turn their drills in as a page or so of writing. Depending on the class level and length, I will then ask students to go through their selected text and find text examples, with citations, of each of the elements. Sometimes this is a separate assignment with the same text, and sometimes they do the drill plus quote examples with another text. What happens next after the drill is also important—when I say above that the APATSARC drill is a beginning tool for analysis, I mean that it can’t stop there. It has become more clear to me recently that in this instruction, I need to take time to explicitly teach the difference between summative and analytical reading. Many students, even those coming to a prestigious college from a prestigious high school, may not have much experience with analytical reading. Many report that if they do writing about reading at all (which they may not actually do), it’s often in the form of a book report, a summary if ever there was one. I think that the ability to read analytically is something in the “hidden curriculum” of college—that curriculum of skills, approaches, and knowledge we sometimes expect our students to have or quickly develop (without explicitly teaching them). I have recently begun to run a poll in my classes. 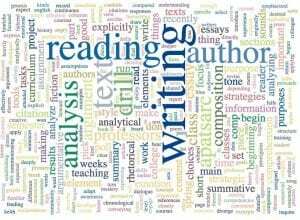 In a freewriting session, I ask them: what is the purpose of reading? Then, what is the purpose of writing? I ask for students to volunteer excerpts from their freewriting and I put these ideas on the board, as illustrated in the image below. Majorities in five of my classes in my Spring 2017 semester (a mix of Comp 1 and Comp 2 classes) and in my Summer 2017 Comp 2 class said (with some variation) reading is for comprehension, understanding, and feeding one’s mind. They said that writing is for communicating, explaining, or expressing, to convey content, or to record voice or thoughts. There has tended to be strong agreement on the “expressing” bit. What happens next has become one of my favorite teaching moments. Next to what the students think reading is for, I write what professors think reading is for: concept comprehension, argument analysis, and writing strategies. Next to what students think writing is for, I write what professors think reading is for: argument, analysis, conveying information, understanding and applying concepts. I like this because the contrast of what the students believe and what the professors think is stark, and I often hear little gasps or exclamations or murmurs as I write the professor side. In the picture below, the summer class responses are up on the board in blue, while the professor responses are in black. On the very right is a list of why professors tend to get irritated by summary. These results from my current class closely match results from my Spring classes. The similarities between what professors think and what students think about reading is limited to one category: information gathering or comprehension. After that, the reasons diverge: students think that reading is primarily focused on this kind of summative competency, while professors ascribe a number of analytical tasks to reading. The same is true with the answers for writing: for the students, there is a heavy focus on writing to convey or to express, whereas with profs, the focus is on conscious argumentative strategy and analysis (often when writing about another text). 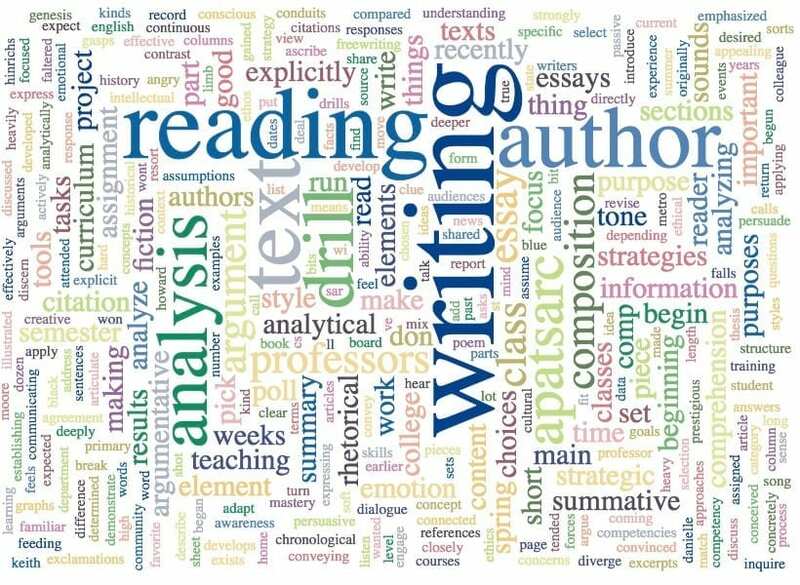 In short, as I said recently in class, students’ views of the purposes of writing and reading tend to be passive, whereas professors view reading and writing actively—intellectual tasks that require strategic choices about how to read (For content? For concept mastery? For analysis?) and how to write (What’s a persuasive argument? How does this demonstrate mastery?). I have tended to do this poll and dialogue a number of weeks after I first introduce the APATSARC drill. In this semester and last, I have done this upon return of their Summary, Analysis, and Response essay: an essay wherein students summarize a text (from a selection of non-fiction articles or columns we’ve read together) analyze it, and then personally respond to it. This SAR essay assignment was originally developed by my colleague Danielle Hinrichs at Metro State in St. Paul, after she attended a 4Cs talk by Rebecca Moore Howard, one of the leaders of the Citation Project. Howard discussed the need for students to deal with whole sources, not just patch-written bits of them, as they are wont to do without specific training in ethical and effective source use. My composition curriculum is heavily influenced by the Citation Project; here are my slides for a presentation on using Citation Project research for teaching good source use. In my modification of the assignment, the analysis section asks students to pick the two or three APATSARC elements they think most apply to their chosen text. I want to make the students think more deeply about the different strategies that an author uses. The students have to go out on a limb and select only two or three elements, knowing that they very well may have chosen others. This, if the students actually do it and don’t resort to summative writing in their analysis sections, develops the skills of selection (“what am I going to focus on here?”) and deeper analysis (“how does the author’s sarcastic tone throughout her essay help her argue?”). The genesis of the reading / writing poll came from my frustration in the Spring over seeing so many of my students resort to summary in what were supposed to be their analytical sections of the SAR paper. They spent a lot of time repeating what an author said, but faltered at analyzing how she said it, and why. After writing this, it’s clear to me that I need to take this poll / engage this dialogue about the purposes of writing and reading in college much earlier in the semester, possibly within the first two weeks, especially in Comp 1 (Comp 2 students are expected to have some familiarity with argumentative strategy). I also plan to revise the assignment sheet to focus not just on the personal response, but to explicitly ask students to consider whether they are convinced by the author’s argument. I’ll update you on the results. Teaching my first section of college comp right now, and I wish I’d found this sooner. So helpful. Thank you! You’re welcome! Thank you for your feedback!